While it seems like brushing one’s teeth two times per day would be easy enough, plenty of people fail to do it. Brush your teeth at least once in the morning and once at night. This brushing will eliminate built-up plaque and bacteria that cause dental caries and gum disease. Don’t forget to brush your tongue as well. The tongue is chock full of bacteria. People need to clean the tongue thoroughly with a tongue scraper or toothbrush. 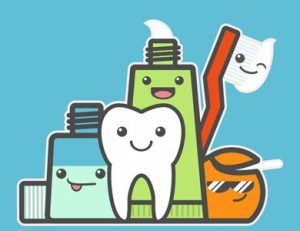 Fluoride strengthens the enamel on the teeth and thwarts tooth decay. Fluoride is in tap water, toothpaste and specialized trays provided by the dentist. It might also be possible to take fluoride in pill form if the dentist believes it will assist with one’s oral health challenges. Abide by a regular schedule of dental examinations and treatments to minimize the chances of dental caries. The dentist will analyze the patient’s mouth, check for dental caries, perform a thorough cleaning and help in other ways. The patient needs to follow the dentist’s advice to combat dental caries. By doing so, the mouth will prove to be that much healthier as time progresses. Call Woodruff Dental at (480) 347-1456 to schedule an appointment today in our Scottsdale office.